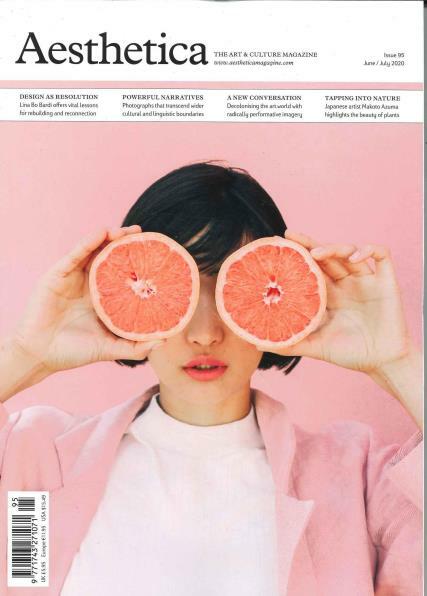 Aesthetica Magazine is a leading visual art and contemporary culture publication that combines dynamic content with compelling critical debate. Buy a single copy or subscription to Aesthetica magazine. Through in-depth articles and reviews of contemporary art, Aesthetica pushes boundaries and stimulates discussion relating to the latest trends and developments in the art world. Aesthetica covers a broad spectrum of topics relating to contemporary culture from visual art and film to performance and music. It is also dedicated to providing all of the latest news, reviews, and details of up and coming as well as established performers and performances. It is an essential magazine for readers looking to keep up to date with contemporary art and visual culture.